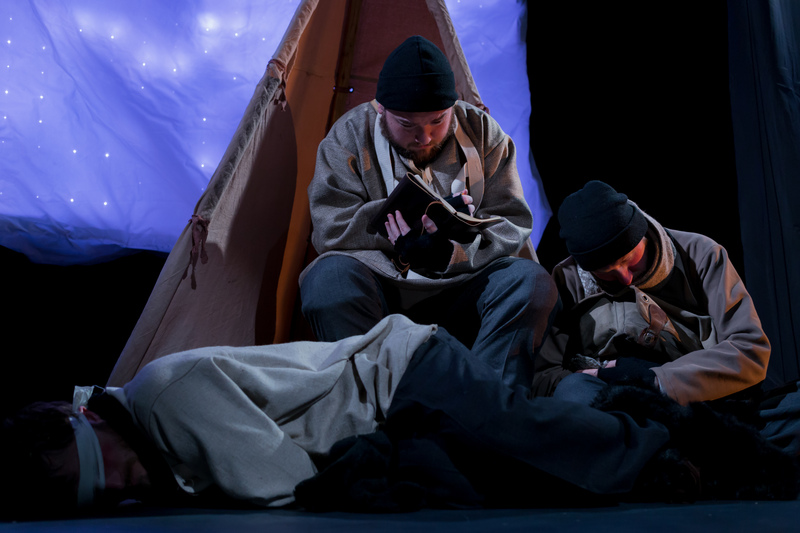 Today, Flat Earth Theatre’s production of Terra Nova, written by Ted Tally and directed by Jake Scaltreto, closes. If you are in Boston, and haven’t made plans for this evening, I’d advise you to try and see it (I say try because I’m not sure that they haven’t sold out already). Want my thoughts? Read my review. The very first show I ever (inexpertly) wrote anything about on this blog was Flat Earth’s amazing Enigma Variations, performed in 2013. I can now affirm that this group continues to impress with its dedication to adventurous theater and staging without resorting to gimmicks or shortcuts of any kind. If you’ve seen the show and agree with me (or find me bonkers), feel free to leave your thoughts below. This entry was posted in Reviews, Theatre and tagged Arsenal Center for the Arts, Flat Earth Theatre, Jake Scaltreto, Ted Tally, Terra Nova. Bookmark the permalink.